Purchase the Full 2019 Tele Summit Set of 12 Sessions by clicking the image to the left, or click HERE. Ginny Telego is the President and Founder of The Collaboration Partners and Wager’s Way, a consulting business based in Ashland, Ohio. 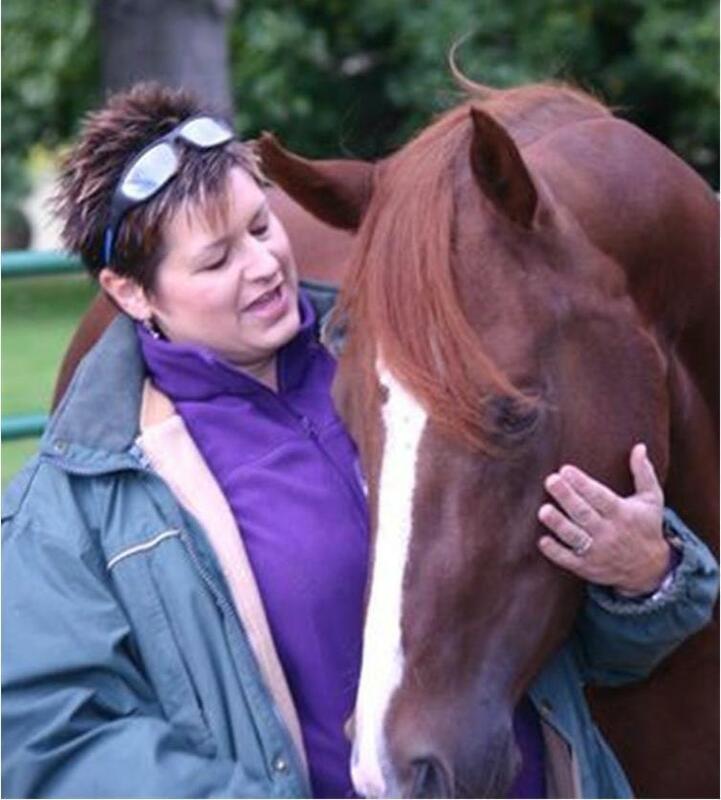 Ginny has a bachelor’s degree in Organizational Management and is a Certified Advanced Practitioner and Master Trainer with the Equine Experiential Education Association (E3A). Ginny is past president of the Board of Directors of the Equine Experiential Education Association (E3A), an international professional membership organization offering training, certification, business development and resources for the implementation of Equine Assisted Learning (EAL) programs by educators, coaches, professional development trainers and other facilitators. Among her other board member responsibilities, she specifically directs marketing programs for the organization. In addition to more than 35 years of horse experience, Ginny has a bachelor’s degree in Organizational Management and also has worked in a number of supervisory and management positions with responsibility for directing diverse groups of employees. The management positions she has held include assistant manager in retail, Grand Teton National Park ranger supervisor, front desk supervisor of a resort, barn manager of Myers Horse Farms, Inc., administrative assistant to a vice president of Information Technology, and executive assistant to a Chief Operating Officer of Communications and Public Affairs. Currently, Ginny serves part-time as the Executive Director of Leadership Ashland, a premier community leadership development program in Ashland, Ohio; directs the Ashland County Community Foundation’s IMPACT Youth Council, which is a program focused on cultivating philanthropy and leadership in high school students; and is a Workforce Development Instructor at North Central State College. Ginny is a former board member for the Mental Health and Recovery Board of Ashland County. She is a graduate of the Leadership Ashland class of 2013, and in 2018 became one of the first women to be installed as a member of the Ashland Noon Lions Club. As an expert facilitator, Ginny is dedicated to coaching clients to find their “Way” to being better leaders and team members both in their organizations and communities. She travels in the U.S. and Internationally to facilitate leadership and team development with organizations and trains other facilitators in the equine assisted learning field.